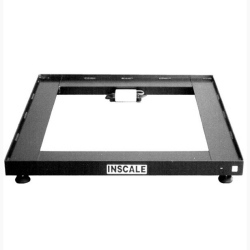 Inscale Weigh Frame platform scale is for tanks & vessels with bottom piping and applications too heavy for weigh rails. Many times when it comes to weighing liquid in tanks or vessels we suggest either weigh modules or weigh bar kits. But sometimes it's easier or more cost effective to just utilize a weigh frame. The Inscale Weigh Frame assembly is ideal for vessels with bottom piping and applications too heavy for weigh rails, making tank and vessel installations easy. 1K-10K Weigh Frames are constructed of 7” channel @ 9.8# per foot and the 20K frames are constructed of 8” channel @ 20# per foot. W1 & W2 are the actual scale width and length ordered. Add ½” to the length and width dimension for W if ordering lips. 1K-10K frames are 3.5” tall (H) and 20K frames are 4.5” tall (H). Add 1” to height (H1) if ordering lips. 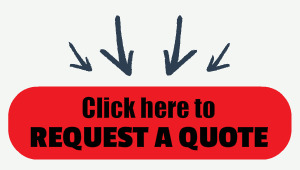 For tanks & vessels with bottom piping and applications too heavy for weigh rails. Adds 1” to height (H1) to weigh frames.